There’s no gentle way to break this news to you. When it’s time to hop in the car for a home tour, it’s also time to leave your pets at home. Now, don’t get us wrong. We love our furry friends. We’ve had dogs and kittens and bunnies make their way through our office before. But when you’re entering someone’s home as a guest, there are reasons to leave your pet behind. No matter how short his or her hair is, your dog leaves something behind everywhere they go. Whether it’s hair or dander, they are shedding even when we can’t see it. If anyone who lives in a house has an allergy, your pet could be responsible for a severe reaction if you bring them in. Psssst…your agent could be the one with the allergy. We all know that being in a strange environment can make a pet nervous. When that nervousness turns into an accidental pee or poop in someone else’s home, it’s a problem. Even if you clean it up, there’s a chance that odors will linger and you’ve now put your agent in the position of notifying a homeowner that there might be a little stain on the carpet. I don’t know about you, but I’ve definitely seen a strong, wagging tail clear a coffee table or break something unexpectedly. Also, those little doggie nails have been knows to scratch wood floors. Who wants a bill for floor restoration? Even if none of the items above are an issue, what if the seller has a pet in the home already? We never know how animals will react to strange people or pets entering their territory. 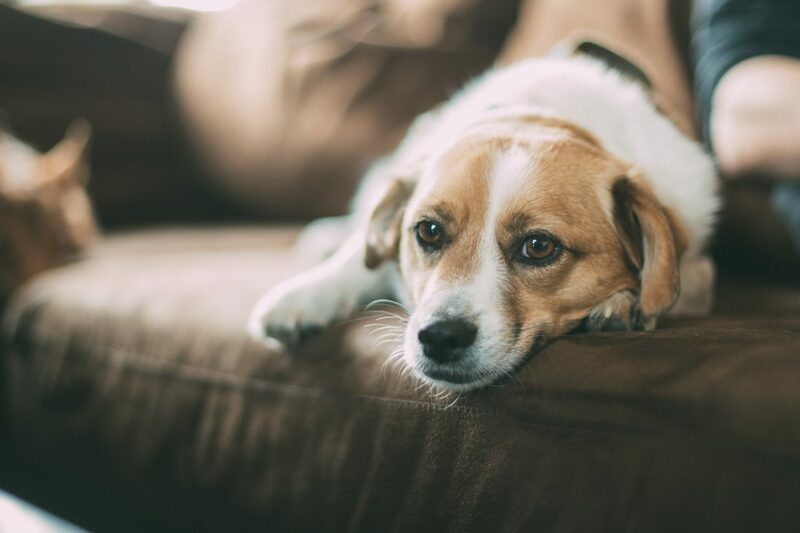 Your pet might add an additional layer of stress that’s just not necessary. When home shopping, pets should either be left safely at home or, at a minimum, left in the car during the tour. They’ll be able to find their own space once you’ve moved in.